It feels good to be challenged again I am inspired to get those layered walking moves! I love how you have always, and still do, keep the class moving and I feel like I have gotten a work out, been challenged and had fun!!! Thank you Meleah. See you definitely more regularly. I really liked Meleah’s personality and teaching abilities. Wish I could have gotten to know her better. I loved her Afro-belly classes, which you probably noticed. She had lots of knowledge on stage expression and technique. The Choreography course was fantastic!!! Spreading the joy of creative movement is Meleah’s goal. 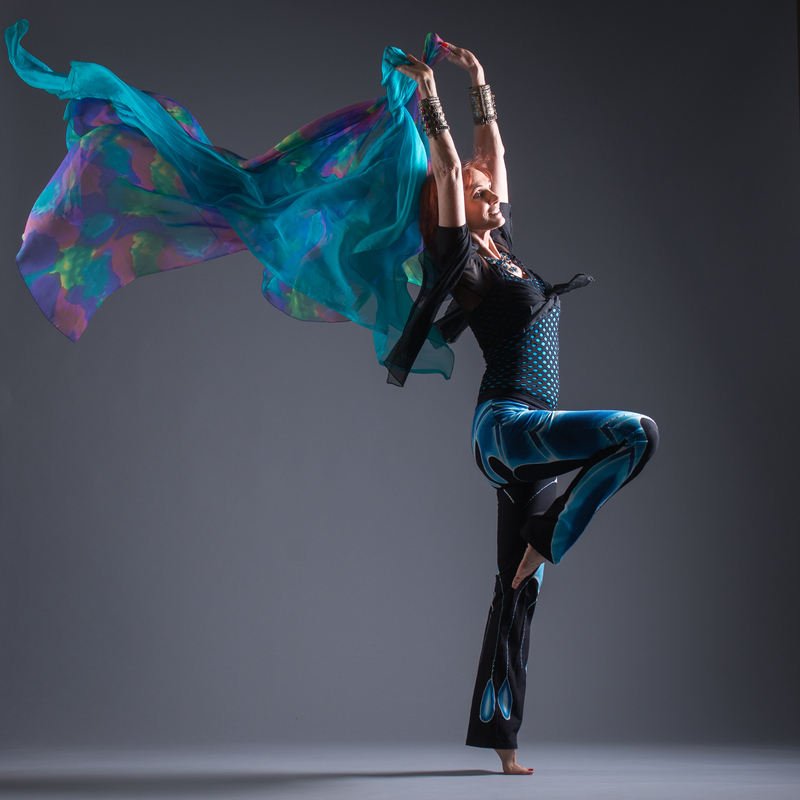 Whether it be Belly Dance or Fitness, movement is crucial to health, wellbeing and happiness. The more you move the better you feel! Come join me for a great fitness fusion workout or try something new and explore your sensual side with Belly Dance. Belly Dance is one of the oldest forms of dance. It has been recorded over two thousand years ago. It is a traditional form of celebration for women’s rites of passage. Belly Dance became popular in the 60’ and 70’s throughout the United States. Although still misunderstood, it gained a following. Recently, in the last decade, the dance has re-gained its popularity. A variety of performers have helped by using musical influences and basic movements to the delight of audiences. Women and men are curious about its sensual nature and health benefits. Classes are popping up all over as an alternative to the more traditional forms of dance. Meleah has been performing and teaching dance for over 15 years. She has appeared on TV and in a variety of night clubs. She holds regular classes and teaches workshops internationally. Her style of Oriental dance is the perfect blend of technique and creativity. She believes the dance should be the embodiment of the music and the dancer’s unique personality. Her classes are based on proper dance technique with a strong emphasis on FUN. Meleah believes that the best way to learn is through humor and a precise breakdown of steps. Her classes are lighthearted, encouraging, and everyone gets attention. She likes to interact personally with her students to assure the proper interpretation. Meleah’s classes are exciting and informative. Firm, tone, and build endurance in this 1 hour intermediate level class. We combine low impact aerobics, yoga, weights, and Pilates for a well rounded workout. The class is always fun and invigorating. When weather permits we play outside with Boot Camp drills and interval training. Perfect for cross training or getting back into shape. You will sweat… you will be sore… you will see results in 3 weeks. Get a total body conditioning workout. Combines Pilates, Yoga and Boot Camp to build strength and flexibility. Interval training techniques achieve maximum results in less time. Perfect for getting back into shape or maintaining your fitness level. Fat burning can be fun! Get in shape with intense calorie burning, muscle toning and booty shakin’. Interval training uses slow and fast rhythms to sculpt the entire body and burn fat Belly Dance moves are easy to follow and work your entire body. The music will exhilarate you and inspire you to move.